About a third of Iran's territory is mountainous. 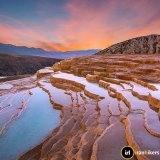 The mountains of Iran belong to the third phase of geological fissures, and some of them with volcanic origin have caused the emergence of hot and mineral water springs. 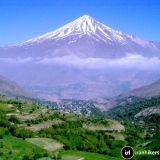 The most important mountain range in Iran is Alborz and Zagros, and the highest peak in Iran is Damavand, located 5671 meters high in the northeast of Tehran. The most important peaks of Sabalan, 4880 meters high in the west of the country, Sahand with 3707 meters high in southern Tabriz, Takht-e-Soleiman with 4820 meters high in Mazandaran, Zardkuh with 4550 meters high in Chahar Mahal and Bakhtiari, Dena with 4309 meters high in Yasuj and Taftan with a height of 3941 meters in the south of Zahedan, which each of them naturally has certain characteristics. The Caspian Sea, The Khazar Sea or the Mazandaran Sea, is a watershed from the south to Iran, from the north to Russia, from the west to Russia and Azerbaijan, and from the east to the republics of Turkmenistan and Kazakhstan. The Persian Gulf of 240,000 square kilometers, after the Gulf of Mexico and Hudson, is the third largest bay in the world, located in southern Iran. Neighbors from the Gulf can be found in the west of Kuwait and Iraq, and south of Saudi Arabia, Bahrain and the United Arab Emirates. The Oman Sea is said to be in the geography of today the Blue Plain connecting the Persian Gulf through the eastern Strait of Hormuz to the Arabian Sea or the Makran Sea. The journey to the depths of the earth has been a matter of constant human curiosity. Going to the bottom of the underground caves is an amazing experience that solves some of this curiosity. Iran is a vast and vast country, and this area has made countless points of view. There are many caves and natural and historical areas in Iran. Beautiful Iranian caves with unique features all over the country attract tourists and researchers from around the world to visit. 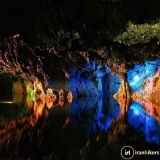 Iran has about 2,000 "caves" from cavers eyes, and only 350 to 400 caves, geological works, photography and GPS positioning have been made and mapped up, and the remaining caves are not well-known. Iran has more than 500 mineral springs and hot water, all of which are used to provide drinking water and medical and sanitary uses. Most of these springs are located in the mountains of Alborz, Azarbaijan and Zagros, and some of them are located near Isfahan, Mashhad and Bandar Abbas. 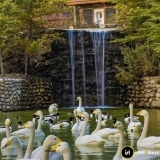 Sarein mineral springs in Ardebil and also the mineral springs of Mahallat are among the most famous hot springs of the country. 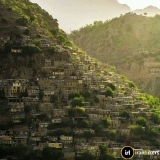 If you like nature and enjoy the natural scenery, you also have a great desire to visit the beautiful villages of Iran. Iran has a very diverse culture and customs in each of the different cities and is the best place to get to know the rich culture of each region, its villages. Traveling to Iran and getting acquainted with other tribes in other parts of Iran will be a memorable pleasure for every tourist. More than half of Iran has desert and semi-desert areas. Desert areas in Iran are divided into five categories: the central desert, the small desert, the Rig-e Jenn desert and the Lut desert. 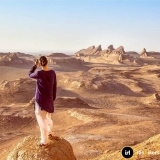 The most famous deserts of Iran are the plains of Lut and Plain Kavir, which are spread over an area of over 360,000 square kilometers and It is considered as one of the interesting and unknown regions of Iran. Lut is one of the most fragile parts of the world, and in some parts there are no living creatures, even bacteria. Iran is a vast country with four seasons and, in terms of nature, is one of the most comprehensive natural geographic structures in the world. The valleys of Iran are very diverse and exciting and spectacular due to climate variation. The valleys of Iran are considered as one of the main tourist destinations for being unknown to the tourists. 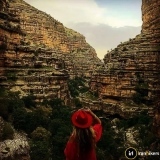 If we want to categorize the iran valleys and canyons as a whole, then we can be divided into three main categories:Mountain valleys and canyons of Iran,Desert valleys and Canyons of Iran and Forest valleys of Iran. 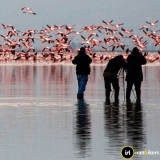 Wetlands-Lagoons of Iran. Of the 42 types of wetlands identified by the Ramsar Convention in the world, except one type of wetland, the turbograss, the rest are found in Iran, which indicates a large variety of Iranian wetlands. 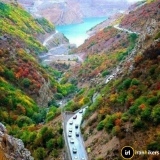 The number of Iranian lakes due to its geological status is relatively high. Some of these lakes are permanent and some of them are dry in most days of the year. Among the most important permanent lakes in Iran, besides the Caspian Sea, one can mention the lakes of Urumia, Bakhtegan, Jazmourian, Parishan, Maharlou, Zaryar and Hamoun. The northern forests or hircanic forests belonging to the third era of geological geology, with an area of about 1 million and 84 hectares, comprise the northern part of the Alborz Mountains of Arasbaran and Astara in the province of Gilan and up to a Golidaq. Dryland forests are divided into two Iranian-Turanian and Gulf-Omani regions. The Iranian-Turan forest zone is Iran's largest forested area, which includes southern slopes of the Alborz, northeastern, eastern, part of the southeast and central regions. 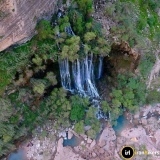 The semi-dry forests, mostly located in the adjacent to the rivers and streams of water, start from the Zagros Mountains in Sardasht, West Azerbaijan, and continue to the Kazeroon of Fars. This forest actually covers parts of West Azerbaijan, Kurdistan, Kermanshah, Ilam, Lorestan, Chaharmahal Bakhtiari, Kohgiluyeh and Boyerahmad, Fars, Khuzestan and also southern Alborz highlands, Sometimes it is densely forested and sometimes shrubs with dry pastures can be seen. Iran is one of the richest and most beautiful countries in the world in terms of its natural attractions. In this respect, it has the fifth place in the world. Iran, in terms of nature, is one of the most exclusive countries in the world. Because everywhere it has a different nature than other parts of the country. The nature of Iran is a series of mountains, plains, desert regions, plains, waterfalls, forests, rivers, lakes and volcanoes. Each of these phenomena is unique in their nature, which have provided a beautiful natural environment for Iran, with their placement alongside each other. Everywhere of it has a different nature so that the difference in winter temperatures between the hottest and coldest points sometimes exceeds 50 Degrees. At the north side is the Atrak river, the Caspian Sea and the Arus river. East of Iran is located in the Hindu Kush mountains and the western mountains of the Valley of Sindh. From the west to the western slopes of the Zagros Mountains and the watershed of Arvandrood and from the south to the Persian Gulf and Oman Sea. The westernmost city of Iran is Chislakandi, the easternmost city of Iran, Jalq, Iran's northernmost city is Parsabad and the southernmost city of Chabahar.